Neutering is a simple surgical procedure that sterilizes a male dog so he’s incapable of parenting puppies. “The big snip,” as some people call it, provides many benefits beyond making sure dogs don’t become puppy daddies. Neutering can cut the risk of certain diseases, unwanted behaviors, and conflicts with other dogs. The surgery is even simpler than a spay. A veterinarian puts the dog under anesthesia, makes an incision in front of the scrotum, cuts the stalks of the testicles, and then removes the testicles through the incision. 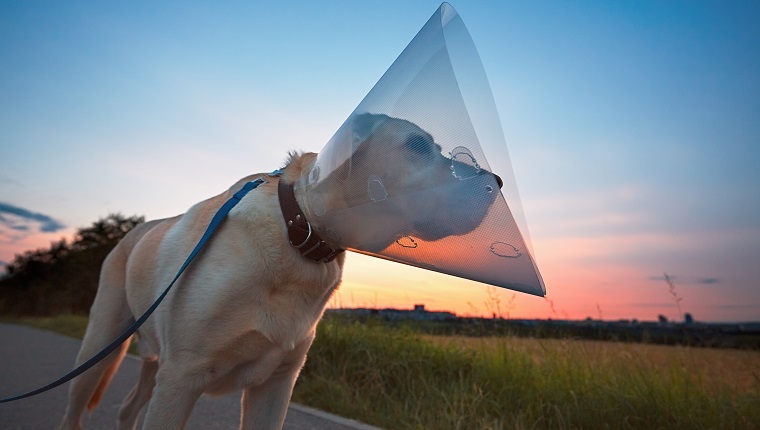 Sometimes the incision needs stitches, and the dog will likely need an Elizabethan collar–also known as the “cone of shame”– during recovery to prevent them from licking the area. After about two weeks, the incision fully heals, and the dog can go on living a normal, healthy life. There are many myths surrounding both neutering and spaying, and you should take time to learn the facts before you make a decision about the procedure. 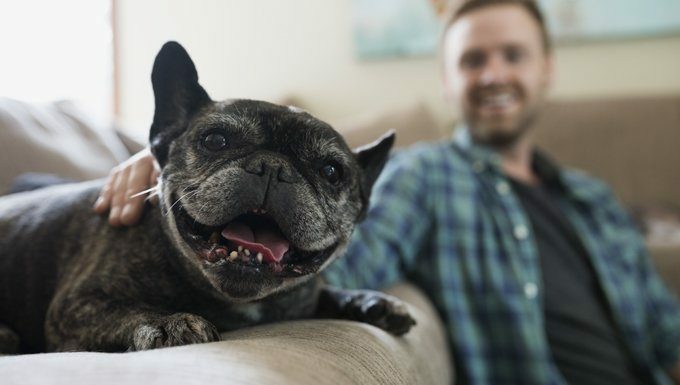 Here are a few things you should know about neutering your male dog. He’s less likely to get certain diseases, such as testicular cancer and most prostate diseases. He will likely be calmer with less testosterone in his system, and thus you’ll be calmer too. He’ll mark less, inside and out, since he has less incentive to announce his presence. He’ll likely get in fewer fights with other dogs, especially other males. 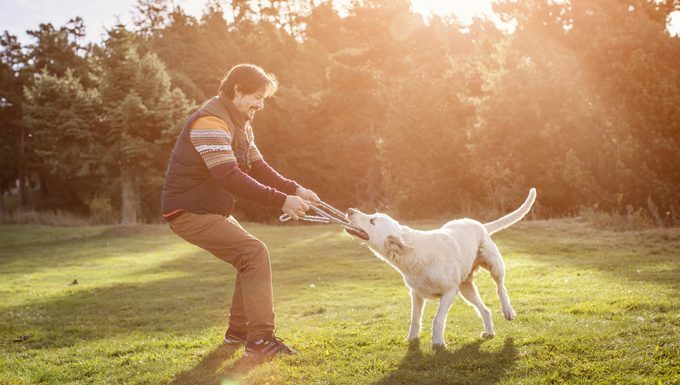 In the case of senior dogs, neutering reduces the size of an enlarged prostate. The health and behavioral benefits occur whether your boy is a wee puppy or distinguished senior citizen. A male dog can be neutered any time after eight weeks of age. A few years ago, most veterinarians advised waiting until puberty hit at about six months, and some still make that recommendation. Talk to your veterinarian about what’s best for your dog. In general, dogs neutered before they go into puberty grow a bit bigger than those neutered after puberty because testosterone is involved in bone growth; sometimes that growth is preferable and sometimes it’s not. Most dogs are sexually mature by the age of five or six months, which can seem like the blink of an eye. If your dog’s testicles don’t descend, you still need to have him neutered. Cryptorchidism is the term for this condition. Dogs who suffer from cryptorchidism tend to have more testicular tumors than normal dogs. Therefore, it’s especially important for these dogs to undergo the neutering procedure. Dogs neutered at an adult age have a slightly higher risk for complications from the surgery, as do dogs who are overweight or in poor health. However, these can be managed by your vet, and the benefits from the procedure often outweigh the risks. Talk to your veterinarian if these risks concern you. Your veterinarian will usually offer pre-surgical blood work to make sure your dog is healthy enough for surgery and doesn’t have any health conditions that would affect the choice of anesthesia. Typically, young and healthy dogs don’t have any issues, but it’s a good idea to have a baseline reference for future blood tests. Follow the directions your clinic gives, but generally speaking, your dog should not eat for at least eight hours before the surgery because the anesthesia may cause nausea. Drinking water beforehand is usually fine, but check with your vet. The neutering surgery is typically simple and straightforward. Your veterinarian will give you instructions for post-surgery care, and your dog will likely recover completely within a couple of weeks. Here are some things you can expect after your dog is neutered. Male dogs can usually go home the same day they have the procedure. The dog might have some nausea and turn away from food for the first day or two. No need to be an overbearing parent and force your dog to eat–he’ll be fine even if he misses a few meals. For the first few days after surgery, the dog’s scrotum will be swollen. You would be far from the first person to wonder if the vet really did the surgery: “Doc, are you sure he was neutered? It looks—well, it looks just the same as it did before surgery. Just swelling, huh? Uh…you’re sure, right?” Often this swelling is exacerbated if the dog licks the incision. If he keeps licking the stitches, pop an Elizabethan collar–“cone of shame”–around his neck. If your vet used stitches, they’ll likely need to be removed after about seven to 10 days, depending on the type of stitching material used. Your veterinarian will give you details about how to check that the incision is healing, and when to come back in for this final detail. Some modern stitches fall out on their own after a certain amount of time. After neutering, a puppy’s scrotum will flatten as he grows, and you won’t notice it. Adults will always have a flap of skin from the empty scrotum. Typically, most dogs want to play hard the next day, but restrict his activity for a couple of days so the incision doesn’t open. Some mild bruising can occur around the incision. Check with your vet if there’s a discharge from the incision, or if your dog seems to be in excessive pain. 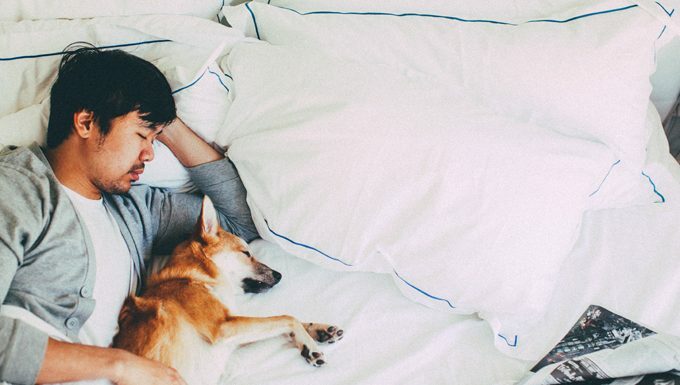 It’s rare for a dog to need pain medication, but it’s not unheard of. If the dog keeps licking the stitches, use an Elizabethan collar to prevent this. Some dogs have trouble walking while wearing these, and they bonk into doorways and tables. Nonetheless, have the dog wear it even during sleep, because licking can prevent the incision from healing properly. Call your veterinarian if you see any unusual symptoms or changes that concern you. You may notice immediately after surgery that your dog isn’t his usual self. He may feel lethargic or have low energy. Give him some time to recover before you start to worry. The neutering procedure can make your dog calmer overall, but dogs–for the most part–tend to bounce back to their usual personalities after recovery. Some dogs are more affected than others, though, so talk to your vet if you’re concerned. Has your dog been neutered? What advice do you have for someone considering the procedure for their dog? Let us know in the comments below!